The Hainanese Chicken Curry is a famous Singaporean dish. I am so confident of my Hainanese Chicken Curry when I volunteered to cook it for a potluck party. What’s incredible was, the participants were 30 council members of a Hainanese clan. Of all the different types of chicken curry dishes out there, I chose to cook Hainanese chicken curry. A Teochew lady cooking the famous Hainanese chicken curry and serving to Hainanese foodies. Was I too confident? Went through a week of stress to finally present my dish on a Sunday. 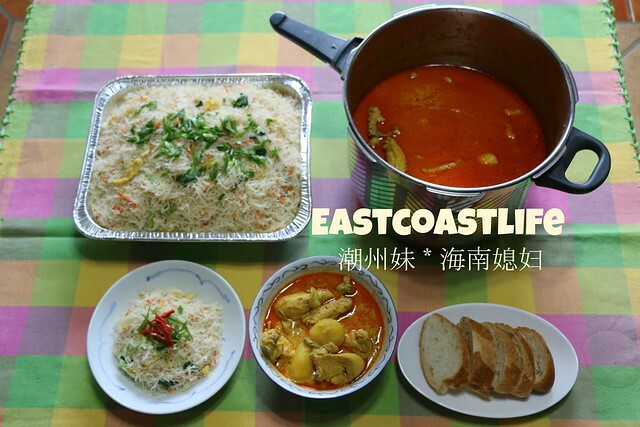 Most Hainanese families have their own secret curry recipe. This is my late father-in-law’s chicken curry dish. 1. Blend all the spices for the curry paste until fine. Or you can use a mortar and pestle to pound them to a paste. 2. Fry the curry paste in the oil until fragrant, then add in the chopped chicken. Coat the chicken evenly with the curry paste and then add the coconut milk and water. I substituted half the water with 200ml evaporated milk for a creamy texture. 3. Add in the baby potatoes. When the potatoes are fully cooked, the starch from them will thicken the curry. Turn off the fire and serve with fried bee hoon or French loaf. Note: I adjusted the spices because the majority of my tasters are senior citizens. I tasted the raw curry paste and made changes to a number of spices. The dish was not too spicy although I added more turmeric and old ginger. That was made with considerations o the senior citizens’ well-being. Lately, I have been studying the use of spices and herbs in Chinese cooking to make healthy dishes. As most elderly people have body aches, pains and inflammation, I try to use spices that can warm the body and promote blood circulation. Using good quality ingredients and blended to a smooth, fine paste, my Hainanese chicken curry gravy can be drunk on its own. 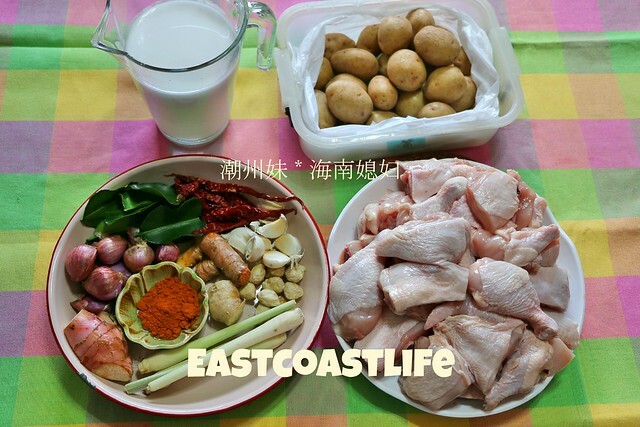 潮州妹的海南咖喱鸡。。。 通过海南长辈们的口味测试。 我煮的斋米粉和海南咖喱鸡 ~~~ 扫到光光!! 好开心!